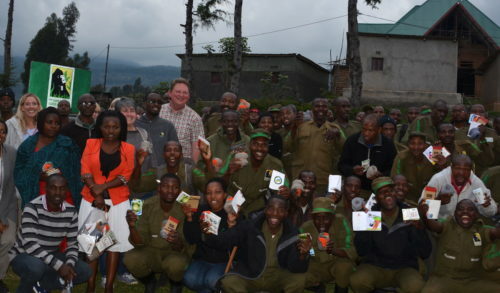 As part of our community outreach programs, the Fossey Fund works closely with local schools in Rwanda and Congo, to help promote conservation education and awareness, as well as to help provide alternative food sources for local people. 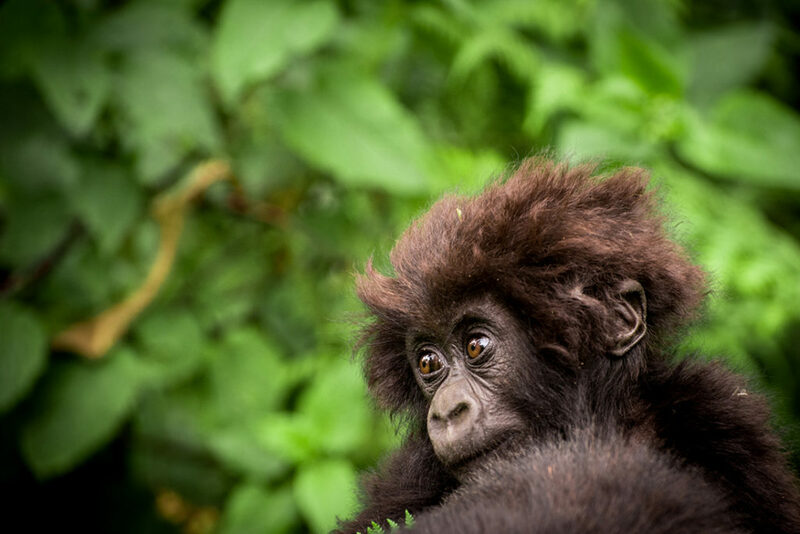 One program that brings all of these goals together is our support for school nature clubs in Rwanda, now expanded to 15 primary schools that are adjacent to Volcanoes National Park, home to the mountain gorillas. These school nature clubs involve a variety of activities and projects, including student-led projects that they design and implement themselves, showing that young people can make a positive difference and help in the protection of wildlife. These have included such projects as school gardens, which have provided food for more than 1,700 people, tree nurseries, bird and butterfly studies, and more. 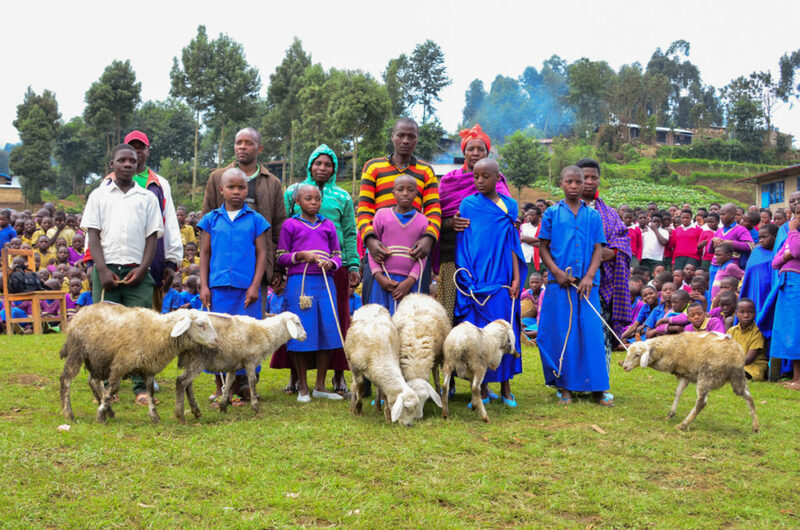 Recently, nature club members from the Buringo primary schools designed and implemented a sheep husbandry project, designed to help provide alternatives to hunting in the park for game animals for food. The project started with 10 sheep – nine females and one male – last year, and is now up to 22 sheep. 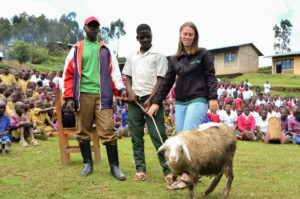 In September, six of these sheep were distributed to community members at a special event, with Fossey Fund community engagement manager Sarah Tolbert and conservation education coordinator Maurice Ngiramahoro in attendance, as well as school leaders, students and government officials. 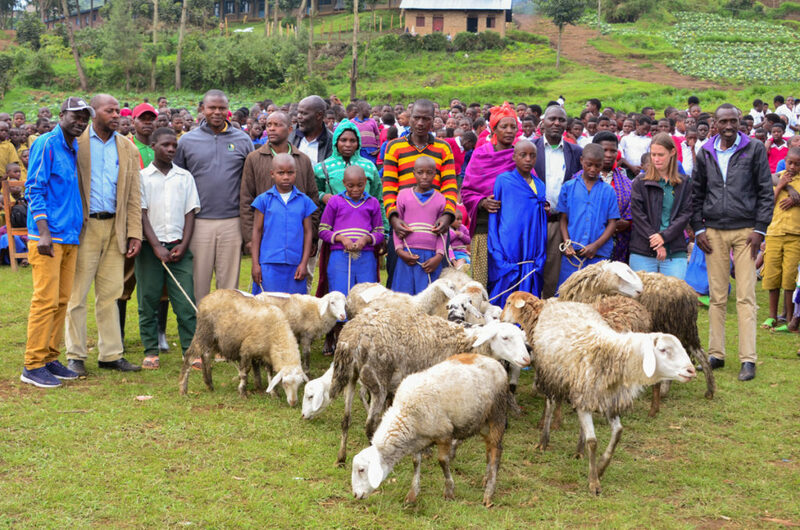 The first beneficiaries to receive sheep will pass on their offspring to students and families. This is planned to continue until every student has a sheep in the family. “This project is very important not only to the school but also to the surrounding communities,” say Azalia Turatsinze, headmaster of Buringo primary school. “Now they get access to these domestic animals and this will decrease the number of people who depend on wild animals that they poach inside the park,” he adds. Apart from this sheep project, Buringo primary school also has a poultry farming project. So far they have 50 chickens and will soon start distributing them to the surrounding communities. 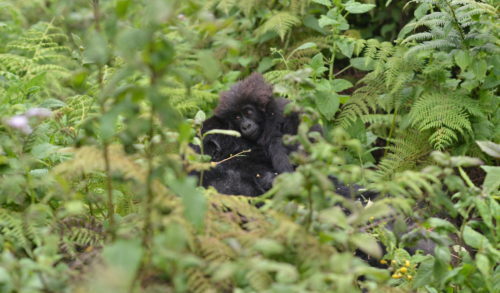 “We are very thankful to the Fossey Fund for their support,” says Turatzinze. “They are doing great in teaching our students about the importance of biodiversity and environmental protection. That’s why our students really understand they must contribute to protect the environment. 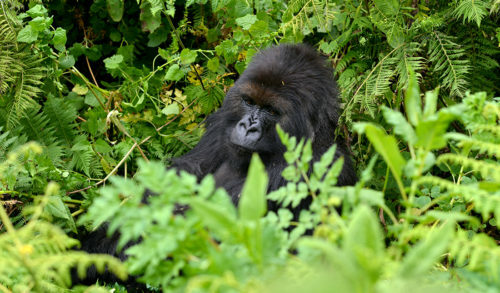 We really look forward to continue working with Fossey Fund toward biodiversity conservation programs, especially in the protection of mountain gorillas,” he says.